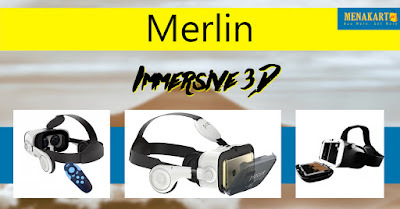 Immersive 3D Lite is the latest addition to the expanding world of virtual reality headsets for Android & iOS smartphones. 1) Compatible with most Android & iOS smartphones. 2) Compatible with most VR apps. 3) Made from rigid foam. Virtual reality has made exciting progress over the past several years. To make sure your expedition into virtual reality begins, we went ahead and assembled the contents that make up your VR Kit. This means that the two lenses, the silver ring and the black ceramic magnets have been put together by Merlin so that your journey outside the box starts immediately! Immersive 3D supports numerous VR apps that are available on both Google Play store and Apple’s App Store.